Mostly photo blog on life in the far northern corner of the contiguous 48 states. My mother is selling her beautiful home in Oakhurst, CA. My mother is selling her beautiful home in Oakhurst, CA. Oakhurst, CA is the southern gateway to Yosemite National Park. This home is 25 minutes from the Yosemite National Park gate and about an hour or so from Yosemite Valley proper. Close by are the Mariposa Grove and Wawona. You would be 45 or so minutes from Fresno and 2 and 1/2 hours from the San Francisco Bay Area (without traffic). Located at about 2200 ' feet above sea level, Oakhurst is a small community with a substantial commercial district mostly serving the needs of tourism and retirees. The community has golfing, hotels, restaurants, schools, parks, and other amenities. There are numerous small communities surrounding Oakhurst some which service tourism (e.g. Bass Lake), others which are within commuting distance of Fresno. The weather is mild in the winter with warm summers. 40570 Griffin Drive is being presented by Macy McGinn of the Century21 Golden Chain Realty. Barry Frederick Ferris, born August 8, 1939, died Christmas morning due to complications from Alzheimer's Disease. He was 72 years old. Barry was a strong father, coach and teacher. He was charismatic and always cared about the eductaion and future of his students and athletes. Barry spent more than 30 years of his life teaching and coaching in Oakland, CA. Most of these years were spent enriching the lives of his many students at Oakland High School. He taught classes in American History, Social Sciences and Wood Shop. During his career, he coached varsity basketball, football, baseball and golf.After retiring to Oakhurst, CA., in 1995, he managed the Wawona Golf Course and enjoyed the natural beauty of this Sierra course. Barry also worked as a Sports Reporter at the Sierra Star. He reported on as many games as he could attend and wrote a sports editorial entitled "View From the Grand Stand". He received many favorable comments from parents, grandparents and athletes about his articles.There will be a burial and gathering in the Oak Hill Chapel in Oakhurst, CA. on Friday, Jan 13 at 2pm. Barry was as vibrant and involved with his family and friends as could be expected during his illness. 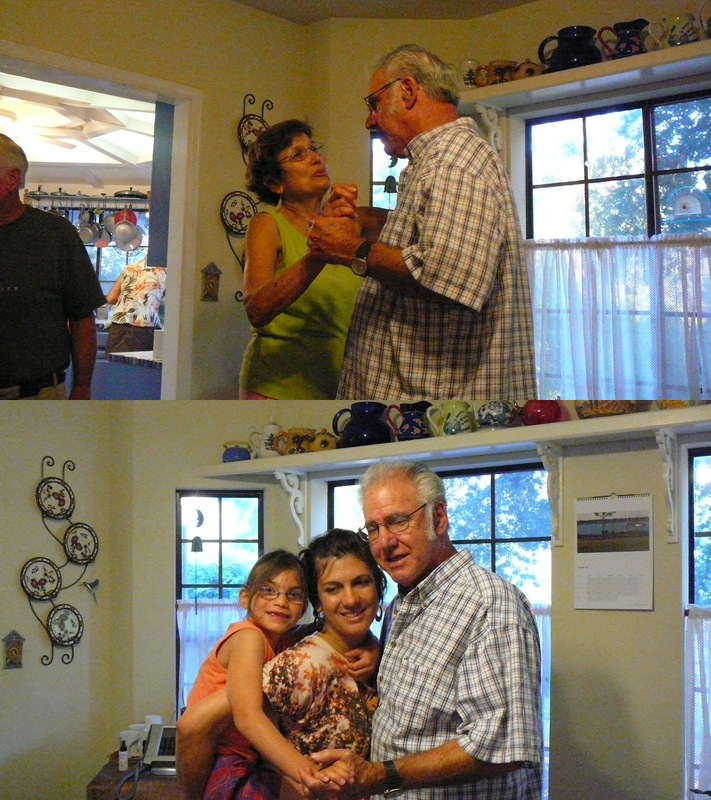 Barry and his wife Pam celebrated their 50th wedding anniversary last September, during which time he danced with his grandaughter, daughter and wife. 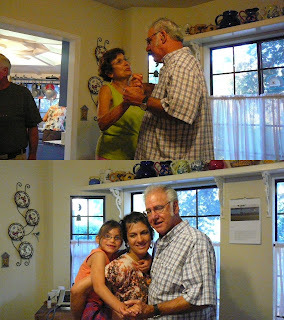 He loved to dance. Barry is survived by his wife Pam, his sons Ryan, Scott and Mitch, their wives Carol, Kerry and Laurie and his daughter Rebecca. He is also survived by his four grand-children Joseph, Sydney, Isabel and Rory. The captain of our souls and the mentor of our minds has now left this Earth forever. Although his death was not a surprise, we grieve heavily. Yet,the charismatic father and husband we all knew would have us be proud, courageous, and joyous in spite of his passing. He would ask us to be strong and to think about that which is important now: the health of our children and our families. Dad: May you live in eternity's sunrise forever. You will always live as such in my heart. All rights reserved Ryan M. Ferris. Travel theme. Powered by Blogger.